Music search company SoundHound is now letting you add your discoveries to streaming service Rdio in-app. The new feature called “Connect to Rdio” automatically places songs that you have tagged in SoundHound into a playlist accessed from inside the Rdio app. 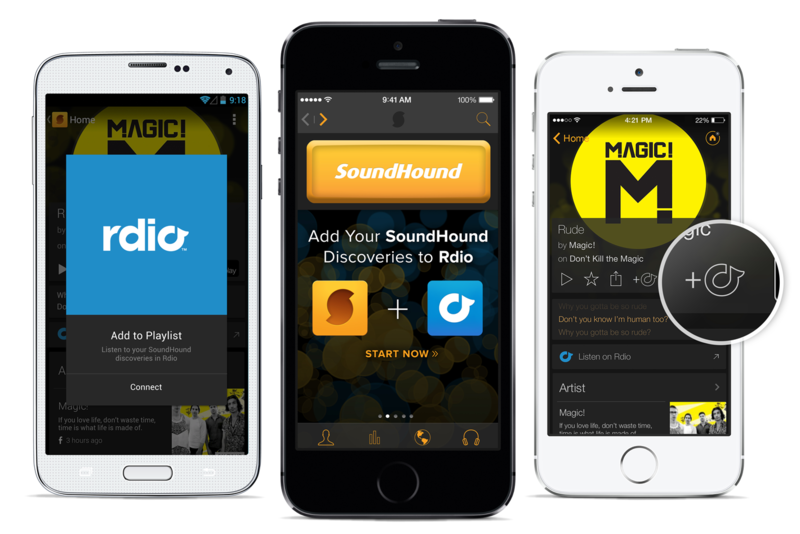 SoundHound first teamed up with streaming service Rdio in December 2012 to release a new music mapping feature, and the partnership has been deepening since then. In March last year, it partnered Rdio to launch a new tablet-optimized version of its Android app with a redesigned layout and improved music discovery.